Earlens is a revolutionary new product that converts sound to light, eliminating feedback and allowing patients with hearing loss to communicate more effectively with others. 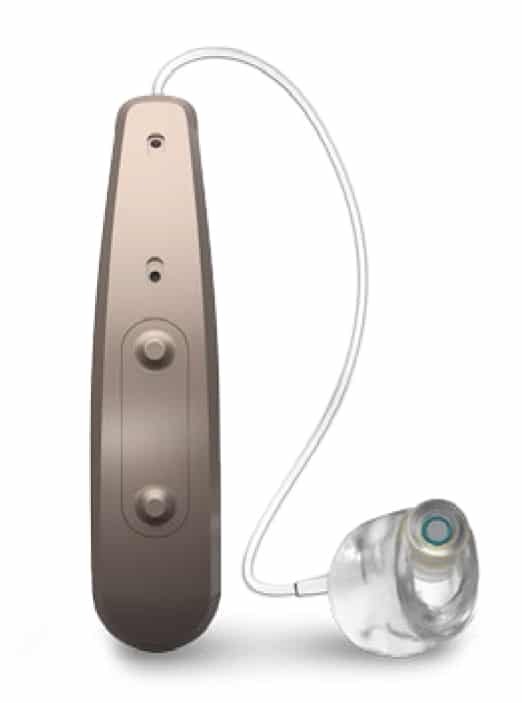 It overcomes some of the limitations inherent in traditional hearing devices because of its broader frequency range, which produces sound that is richer and more natural, with crisp highs and full lows. Hearing is a complex process that relies on a broad frequency spectrum to enable us to fully comprehend sound and locate its source. When the hair cells in the cochlea deteriorate due to age or disease, we lose the ability to hear clearly, particularly in the higher frequency range. This can hamper our ability to understand speech effectively in certain environments, such as where there is considerable background noise (e.g., a busy restaurant or other public gathering place). Earlens uses a Photon Processor and Light Tip to convert sound to light, eliminating the feedback that plagues many users with traditional hearing devices. The lens is positioned directly on your eardrum, where it stimulates your natural hearing system, resulting in a broader frequency range versus conventional devices. It is custom designed to fit the natural contours of your ears, and surface tension prevents it from moving out of place. The Earlens comes with a rechargeable battery, and it adapts automatically to your listening environment to compensate for background noise and other distracting sounds. It includes four customizable programs and features buttons that are simple to operate.